The answer key for ACT 72F which was administered June 2016 is now available in our answer key library. 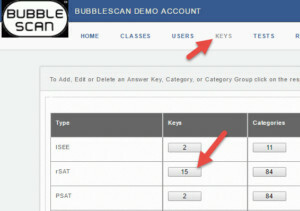 Feel free to download it and install it in your PREP.BubbleScan account. The College Board finally made available two additional official SAT practice tests. We have added the answer keys for these two tests to our database of free answer keys. 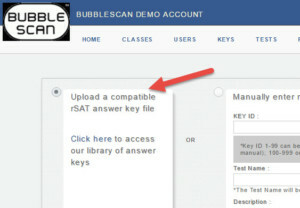 On the answer key page, select SAT and then click on the test names to download the free answer keys. 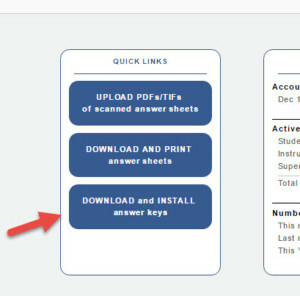 Then browse to one of the downloaded answer keys and upload it. If you already have an answer key with the key IDs we assigned (#5 and #6) you will be prompted to either override what you have or save the new key under a different key ID. Or if you can drop us an email and we’ll add them to your account for $10.